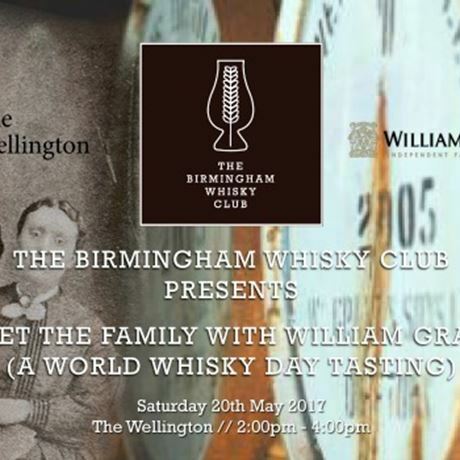 The Birmingham Whisky Club and William Grant & Sons would like to invite you to to join them at The Wellington on Saturday, 20 May for a special tasting, as part of the club's World Whisky Day 2017 celebrations. William Grant & Sons is the biggest independent whisky company in Scotland, with the third-largest malt distilling capacity in the industry. It operates four malt distilleries, namely Balvenie, Glenfiddich, Kininvie and Ailsa Bay, as well as Girvan grain distillery – on the same Ayrshire site as Ailsa Bay – where there are also major maturation and blending facilities. Bottling takes place at William Grant’s Strathclyde Business Park facility near Glasgow, where office functions are located, while a London office is situated at Richmond. Learn more about these whisky icons with their brand ambassador, and taste through a delectable selection of six drams. 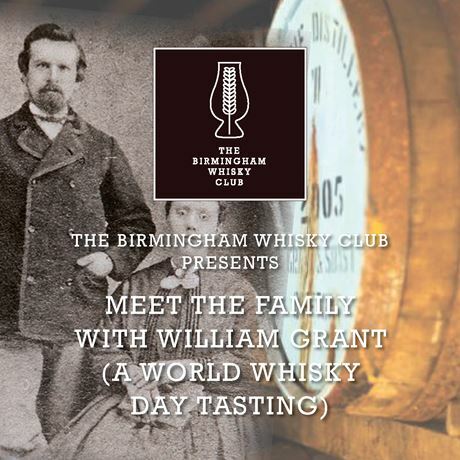 Tickets are just £25 (£20 for members of The Birmingham Whisky Club) to taste through six fantastic whiskies. 2pm – Tasting begins. You will be led through a selection of different drams by the experts from William Grant & Sons, and get a chance to ask all of your burning questions throughout. 4pm – Although the tasting is over, please feel free to stick around. Anything you were afraid to ask? Grab our resident experts and have all of your queries answered.